Order your autographed paperback copy of OK Danny Boy volume 2 (MONSTER) by Felicia Johnson today! The spin off of “HER” by Felicia Johnson (www.herthebook.com) is called “OK Danny Boy”. This three part book series follows the story of an artistic and mysterious young man who Kristen meets during her stay in Bent Creek Hospital. Daniel proved to be a supportive peer, whom Kristen saw as a positive influence throughout her recovery. However, Daniel had not always been a role model. Daniel is diagnosed with Bi-Polar Disorder, OCD and Juvenile Diabetes. His story follows his journey throughout his healing and learning to cope with life’s transitions, coming of age, living with mental illness as well as a physical illness and the suicide of a close friend. Fans of “HER” will get to see what it was like on the other side of the Adolescent Ward. Part one: “CHAOS” follows Daniel’s life before he goes into Bent Creek Hospital during his mental breakdown. Part two: “MONSTER” follows Daniel’s story while he is in Bent Creek Hospital through his treatment. Part three: “LOVE” follows Daniel after his treatment in Bent Creek Hospital into his recovery process. 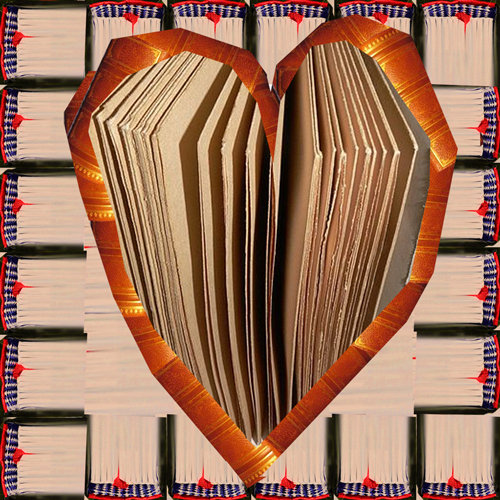 Remember to visit http://www.herthebook.com for book trailers, events and more! Giveaway ends November 06, 2017. 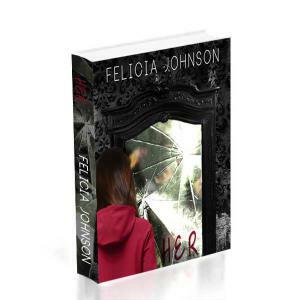 “HER” by Felicia Johnson is in preproduction to become a movie! Here’s a giveaway to get the buzz going for the book to film adaptation. Visit http://www.herthebook.com to see the trailers. Good luck! Giveaway ends June 16, 2015. FREE EBOOK ABOUT Borderline Personality Disorder and Mental Illness TODAY only! FREE EBOOK ABOUT #BPD via Amazon. Free on TODAY only! A story about a girl who struggles with #BPD. It takes the reader into the mind of someone who is suffering from Borderline Personality Disorder. Recommended for families, friends and loved ones of those who have BPD and who wish to learn more about this complex personality disorder. For ages 16 and up. In other ways, Kristen is not like other kids her age. She knows something is wrong with her. Kristen feels like an utter failure. She is unable to please her abrasive mother, and scared to confront Jack, her abusive stepfather. She is also unable to protect Nick from Jack, making her fell all the more helpless. Adding to her problems, she knows she will never be as beautiful as her best friend Lexus. Kristen finds solace in self-injury, and the company of Mr. Sharp, her imaginary friend who encourages her feelings of self-loathing. After a failed suicide attempt, Kristen is placed in the Bent Creek mental hospital, where she is diagnosed with Borderline Personality Disorder. While in the hospital, she meets a group of peers suffering with their own mental illnesses, and a compassionate staff of doctors and counselors. From there, Kristen begins her journey to survival. She discovers the circumstances that brought her to this breaking point, struggles to understand her mental illness, and fights to be a survivor against her own worst enemy: her self-blame. Kristen’s tale of endurance illustrates the complex illness of Borderline Personality Disorder. Readers – including those suffering from BPD and their friends and family – can glean insight into the illness from Kristen’s humanity. Her story is an example of how, if we try to push the past away, we are either doomed to repeat it or let it haunt us to our graves. Live On Air With Indie Books Radio Show!! Plus, free ebook giveaway! Live On Air With Indie Books Radio Show!! If you missed me on the Indie Books Show this morning, you can listen to the archives of the show on the #BlogTalkRadio link below. Listen, as Will and I discuss Her the book, Her the movie, and the future. A few amazing organizations and individuals were mentioned and shown love on the air: Dee Marshall, SPE,Kelly Cooper, Capri Cruz of Ask-Capri.com, Personality Disorders Awareness Network (PDAN), Kristen Nothstein aka Krissy Notes, Nancy Kilgore, David Levithan, Matthew Hendren and our amazing crew of Just Because You’re Awesome. Please take some time to check it out, and feel free to share! Check out Her by Felicia Johnson on Amazon. It’s Free on Kindle TODAY!!! Valentine’s Day is all about love, friendship, and caring for one another. My novel Her is about developing love from family, love from friends, and love and understanding for oneself. In honor of this Valentine’s Day, Her will be available for free download from Friday February 14th until Tuesday February 18th. Gift Her to yourself if you want to help yourself understand the plight of someone with mental illness, and be able to share an unconditional love with them. Gift Her to someone who may be suffering with depression, BP, family abuse, so that they may understand that they are not alone in this fight. Or, just gift it to someone interested in an intense, roller-coaster read with an unconventional love story. Below are all the links for the country-specific Amazon sites. Follow the links to get your free copy!